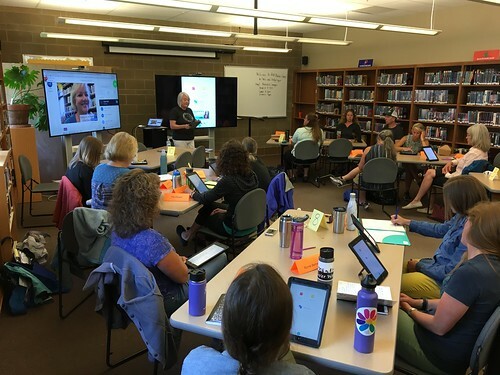 Make Media Camps are based and built on the successful “iPad Media Camp” professional development model, developed and refined by Wes and Shelly Fryer from 2012 through 2017. Learn more on iPadMediaCamp.com and view all past curricula on wiki.ipadmediacamp.com. Make Media Camps are also built around the “Show with Media” digital literacy framework by Dr. Wes Fryer. 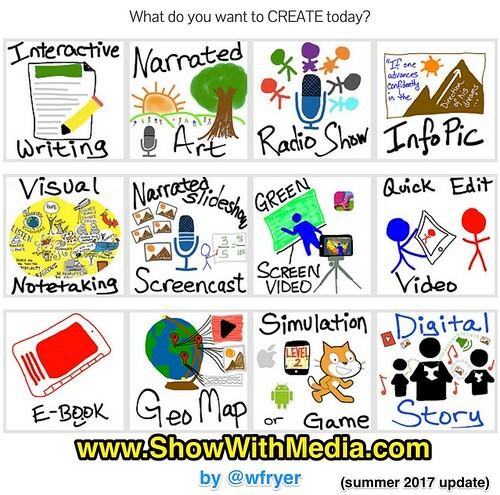 “What do you want to CREATE today?” Learn more and access resources for the 12 different media projects in the framework on ShowWithMedia.com. To learn more about Wes and Shelly’s pedagogy and instructional philosophies which relate to digital technology, meet your facilitators of Make Media Camp!